It’s been a challenging couple of years for the international community. A stagnant global economy, tumbling commodity prices, rising populism, ongoing conflicts. 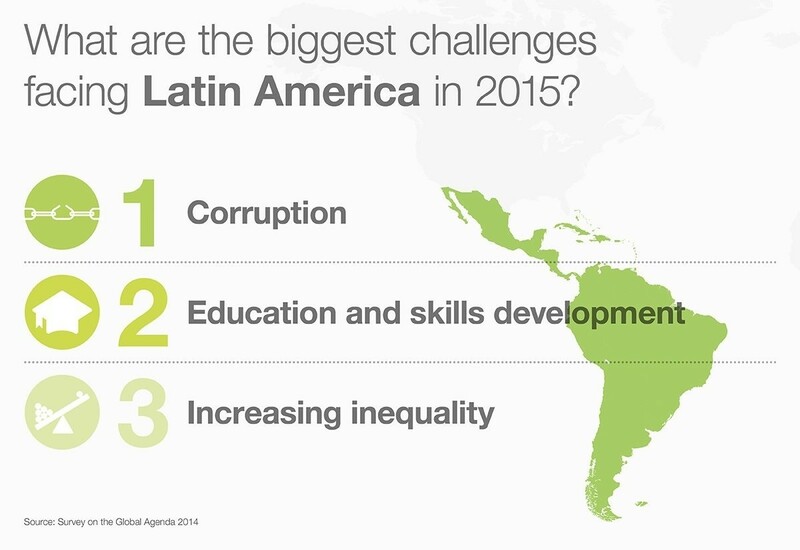 But when Latin American leaders were asked to name the biggest challenge in their region for 2015, the majority of them pointed to something else: corruption. 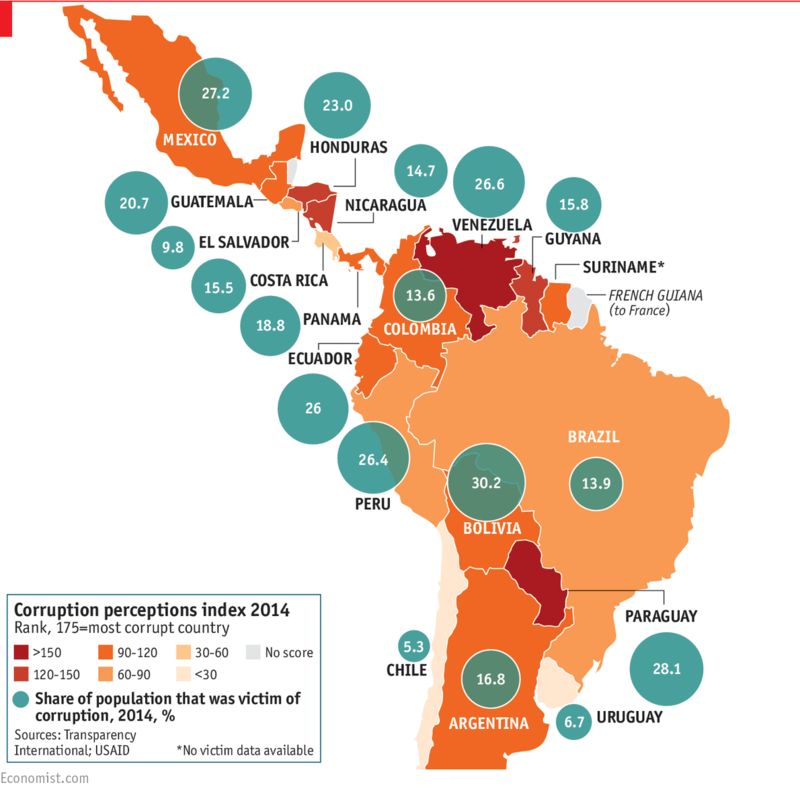 “Corruption has long been regarded as a significant problem for Latin America – perhaps the most significant of all,” a Forum report on the topic noted. A year later, has any progress been made? Judging by the headlines, you’d be tempted to say no. In fact, you’d be forgiven for thinking things have got worse. In Brazil, the Petrobras scandal – described as “one of the most astonishing corruption schemes ever to be uncovered” – culminated in March with calls to impeach President Dilma Rousseff and her predecessor Luiz Inacio da Silva. Many other leaders have been embroiled in the crisis, which saw politicians taking kickbacks in exchange for state contracts. By the time it came to light, $5 billion had been lost to corruption. Elsewhere in the region, Chilean President Michelle Bachelet’s popularity took a big hit after her family was involved in a high-profile corruption scandal. More recently, Argentina’s former president, Cristina Fernández de Kirchner, was indicted for meddling with the country’s central bank. And in Guatemala, former president Otto Perez Molina will stand trial for allegedly masterminding a scheme under which bribes were paid to customs officials. Of course, none of this is new to the region. As the Economist wrote in a special report on the issue, “resistance to corruption in Latin America has a long and largely futile history”. Every year, when Transparency International releases its Corruption Perception Index, Latin American countries consistently appear towards the bottom. And it’s a scourge that affects large proportions of the population – as many as 30% of people in some countries. Perhaps that’s why until now, people in the region have turned a blind eye. “Latin Americans have historically tended to be tolerant of pilfering politicians,” writes Luis Alberto Moreno of the Inter-American Development Bank. But change is coming. “An anti-corruption wave seems to be sweeping across the region,” CNN reported recently. Corruption was in the past tolerated because many thought it helped everything run smoothly. “Rouba, mas faz” – he steals, but he gets stuff done – was often said by Brazilians when referring to their politicians. Now people are starting to see corruption for what it is: a poison that spreads to other parts of society, with sometimes devastating effects. There is perhaps no more infamous example of this than the 43 students who went missing in Mexico’s Guerrero state. While it’s still not clear what happened to them, it was almost certainly the work of corrupt local officials and gangs. 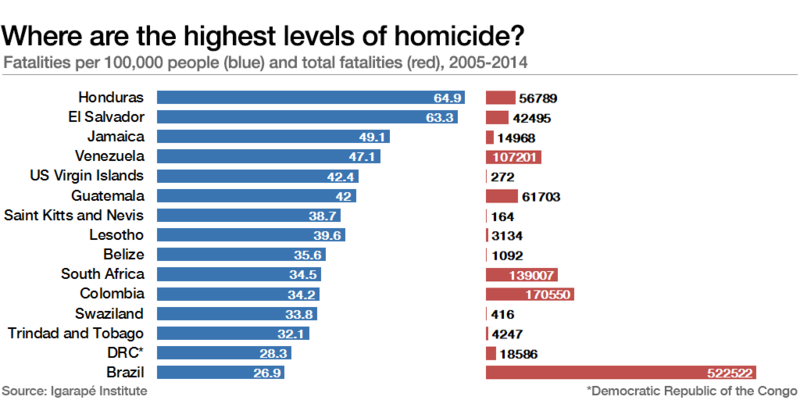 Indeed, as analysts at Insight Crime have pointed out, it’s no coincidence that some of the region’s most corrupt countries – Honduras, Venezuela, Guatemala – are also among the most violent places in the world. The wake-up call seems to be starting to have a positive impact in the region. In this year’s Corruption Perception Index, 17 Latin American countries improved their rankings compared to the year before. Slow progress, but all in the right direction.